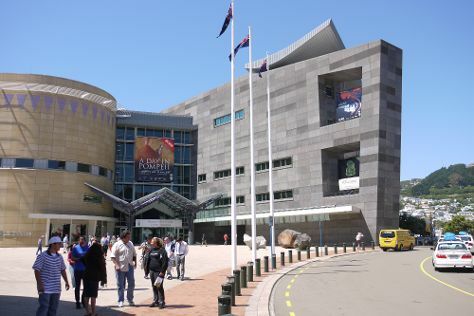 Kick off your visit on the 5th (Sun): examine the collection at Museum of New Zealand Te Papa Tongarewa, then contemplate the waterfront views at Oriental Bay, then brush up on your military savvy at National War Memorial, and finally take an in-depth tour of The Great War Exhibition. To see where to stay, traveler tips, more things to do, and tourist information, read Wellington holiday planning site . Barcelona, Spain to Wellington is an approximately 31-hour flight. You can also do a combination of flight and bus. You'll lose 11 hours traveling from Barcelona to Wellington due to the time zone difference. In August, Wellington is much colder than Barcelona - with highs of 15°C and lows of 9°C. 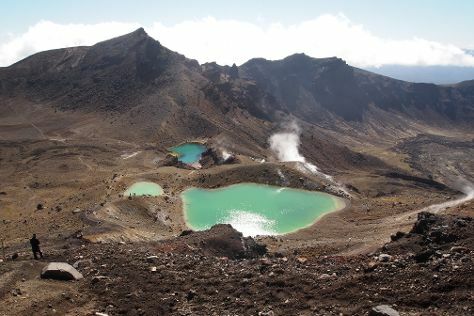 Finish your sightseeing early on the 6th (Mon) so you can drive to Tongariro National Park. Get some cultural insight at Tongariro Alpine Crossing and Taranaki Falls. Get outdoors at Whakapapa Nature Walk and Tawhai Falls. On the 6th (Mon), spend an exhilarating day on the slopes at Whakapapa Ski Area - Mt Ruapehu. The adventure continues: grab your bike and head to Ohakune Old Coach Road. To find traveler tips, where to stay, reviews, and more tourist information, read our Tongariro National Park trip itinerary builder app . Traveling by car from Wellington to Tongariro National Park takes 4.5 hours. Alternatively, you can do a combination of bus and taxi; or do a combination of train and taxi. Cap off your sightseeing on the 9th (Thu) early enough to go by car to Rotorua. On the 9th (Thu), witness a stunning natural landmark at Hells Gate, then wander the streets of Eat Street, and then do a tasting at Volcanic Hills Winery. Get ready for a full day of sightseeing on the 10th (Fri): take in the dramatic natural features at Orakei Korako Cave & Thermal Park, get impressive views of Waimangu Volcanic Valley, and then admire all the interesting features of Government Gardens. For other places to visit, where to stay, maps, and other tourist information, you can read our Rotorua trip itinerary planner . You can drive from Tongariro National Park to Rotorua in 3 hours. Another option is to do a combination of car and bus. August in Rotorua sees daily highs of 17°C and lows of 7°C at night. Cap off your sightseeing on the 11th (Sat) early enough to travel to Hahei. Kick off your visit on the 12th (Sun): tour the pleasant surroundings at Hahei Beach Walk, then stroll through Hot Water Beach, then take in the exciting artwork at Moko Artspace, and finally admire all the interesting features of Shakespeare Cliff Scenic and Historic Reserve. To find photos, where to stay, maps, and more tourist information, read Hahei travel site . Drive from Rotorua to Hahei in 3 hours. In August in Hahei, expect temperatures between 17°C during the day and 9°C at night. Finish your sightseeing early on the 13th (Mon) so you can travel to Te Anau. On the 13th (Mon), identify plant and animal life at Te Anau Bird Sanctuary. Get ready for a full day of sightseeing on the 14th (Tue): see the interesting displays at Southern Discoveries - Milford Discovery Centre and Underwater Observatory and then contemplate the waterfront views at Milford Sound. For maps, reviews, where to stay, and more tourist information, read our Te Anau trip builder site . Explore your travel options from Hahei to Te Anau with the Route module. Finish your sightseeing early on the 16th (Thu) to allow enough time to drive to Queenstown. 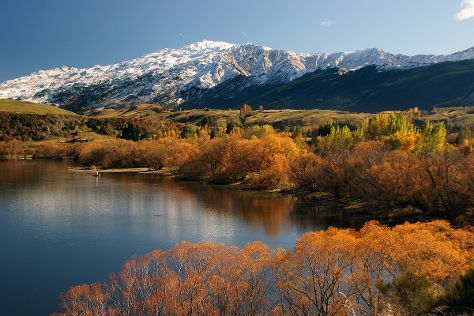 Step out of the city life by going to The Remarkables Ski Area and Arrow River. Get a sense of the local culture at Arrowtown Chinese Settlement and Brennan Wines and Otago Viticulture And Oenology. On the 17th (Fri), spend an exhilarating day on the slopes at Coronet Peak. There's still lots to do: soothe aching muscles at some of the top local wellness centers. To find maps, photos, reviews, and tourist information, refer to the Queenstown road trip planner. You can drive from Te Anau to Queenstown in 2.5 hours. Another option is to take a bus. Finish up your sightseeing early on the 18th (Sat) so you can travel back home.